Maida or Refined flour is present in any second recipe you cook. 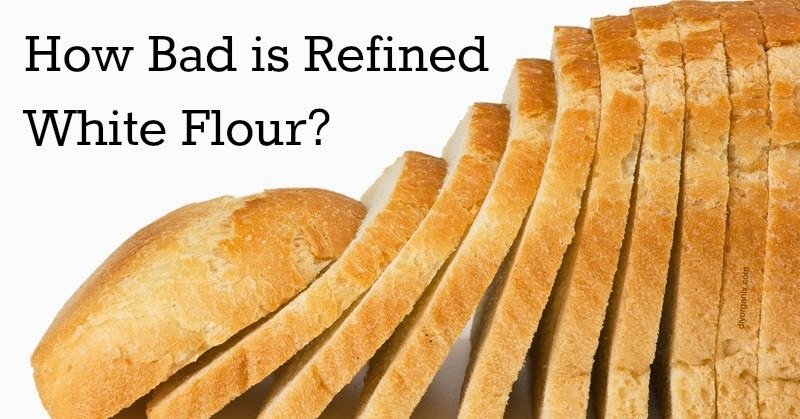 Most of us do use Refined flour in most of the foods as it gives a better feel and texture to the product. But my question is, Is It worth eating any food which will give your food a better texture but at the same time it is harmful for your body? I always thought everything in moderation is OK. But if little of it is added too frequently, then it no more remains little. If you some up, then you have already had quite a lot of it. So then I would be ready to sacrifice on texture and Feel of the products. What I will be concerned for is the nutritive value of the food. What will happen if you add Maida flour to your diet everyday? I am sure that nothing will happen as maida is nothing but processed and polished wheat. But when the consumption rate increases, it in many chronic diseases like IBS, chronic constipation, digestive issues, increased triglycerides, cholesterol etc. Maida Flour has various side effects and disadvantages. Using it for a long period of time will have its consequence on our body. It is a refined wheat flour from which fiber is been eliminated. Not only this, It is further bleached with benzoyl peroxide, which gives flour a pure white color and smooth texture. Benzoyl peroxide is banned in China and the European Union still it is been used by other countries. Maida is a slow poison. First direct effect of maida is that it spikes up your sugar levels because it has very high glycemic index. To match up with the sugar spike, pancreas has to over work to release insulin in sufficient quantity to match up with sugar. Once in a while pancreas can manage but if you are using maida frequently then the insulin production will gradually reduce, finally making you a diabetic. When blood sugar spikes, glucose builds up in the blood like so many standby passengers on a flight. When glucose loiters in the blood, it gets into trouble by attaching itself to nearby proteins. The result is a chemical reaction called glycation, a pro-inflammatory process that plays a role in a host of inflammatory diseases from cataracts to arthritis to heart disease. High intake of maida product will also add on to your body weight and you will soon progress toward obesity. One of the biggest changes in modern wheat is that it contains a modified form of Gliadin, a protein found in wheat gluten. Gliadin unleashes a feel-good effect in the brain by morphing into a substance that crosses the blood-brain barrier and binds onto the brain’s opiate receptors. “Gliadin is a very mind-active compound that increases people’s appetites,” says Davis. “People on average eat 400 more calories a day when eating wheat, thanks to the appetite stimulating effects of gliadin.” When there is high inatke of maida is your diet there are usually high levels of cholesterol and triglycerides found in the blood. You may also like to read: Brown Bread vs White Bread – Which one is better? When you eat foods with high glycemic index, they tend to spike up your sugar level. Insulin will take up the sugar which is required by the body. Excess of the sugar will be stored in body as a form of body fat. So high refined flour will give you high percent of body fat. If you already have high body fat and you want to get rid of that fat, first thing to do is remove maida from your diet completely along with other high glycemic food. Apart from all these acute problems, it also affects your gut health. Maida being low in fiber it reduces the gut mobility. Fiber is very important as it helps to sweep the gut and supports for elimination and detoxification processes which will further help to keep cholesterol and inflammation away. Gluten in a main culprit of the food allergies or intolerances. Wheat is said to be the commonest and biggest dietary trigger for food allergies and intolerances. Reason for allergies is still unclear but many experts have point out that higher gluten content of modern wheat are to be blamed. A type of protein found in many grains, including wheat, gluten gives dough elasticity, trapping air bubbles and creating a soft texture. Because soft is considered desirable, wheat today is bred to have more gluten than ever before. It is very important to have balance of acid-alkaline medium in the body. The body has an elaborate system of checks and balances to keep its pH level at a steady 7.4. A diet high in acidic foods, such as grains, forces the body to pull calcium from the bones to keep things on an even keel. When researchers looked at how the diets of more than 500 women affected their bone density, they found that a diet high in refined grains, among other nutrient-poor foods, was linked to bone loss. A highly acidic diet also chips away at our cellular vitality and immunity in ways that can make us vulnerable to chronic disease. “Grains are the only plant foods that generate acidic byproducts. Wheat, in particular, is among the most potent sources of sulfuric acid, a powerful substance that quickly overcomes the neutralizing effects of alkaline bases. Refined flour will also lead to peptic ulcer and gall bladder disease. Refining of wheat removes high amount of good quality protein in the process. Protein buffers the hydrocholric acid secreted by the stomach, and tends to protects the stomach from being ulcerated by the acid produced. Diet low in fiber and high in sugar will impair and interfere in the regulation of bile and cholesterol. Gallstones formed from cholesterol are common in people on refined diet. From me it’s a big NO for refined flour. I always suggest people to combine as many flour as possible and include in their diet. Wheat to be frequently replace by Jowar, Bajra ( Not for Hypothyroid patients), Ragi (Nachni), Rice. More the variety of food you add to your diet more nutritional benefits you can avail. I myself have tried going off maida and it does have remarkable results. So you can also try it, may be for a month and two and see how guilt free you feel. Refined carbohydrates are cause of many diseases like diabetes, blood pressure, obesity, Coronary heart disease, colon cancer, ulcers etc. If out of option if you have to eat any of the maida product or refined food always accompany it with roughage like salads, sprouts, fruits. Maida is predominantly present in all bakery products right from traditional items like Khari, Toast, Butter, Pav and also in packaged foods like breads, biscuits, pastries, cakes, pizzas, pastas, burgers etc. Refined flour is also a part of ready to eat soups available in market. So it is very important to make a healthy food choice by reading the ingredient list. Have you ever faced any difficulty / side effects after eating maida flour food? 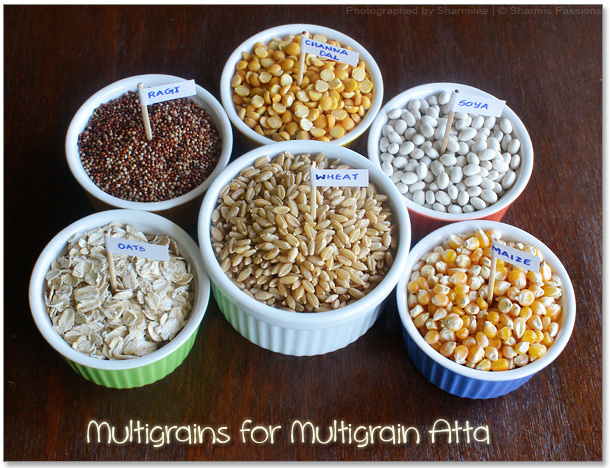 Let us know your opinion and what is your opinion on eating Multigrain aata (flour) for making food? can we drink Milk with Maida or its harmful to health and what are the the things we should not eat with milk ? Whenever I eat maida, I feel sever headache after 1 day. What to take for digestion of maida faster. Maida is slow poison. Why you want to take maida? I need a diet plan with detailed schedules for Breakfast, Lunch and Dinner. Iam a CROHN’s patient. Kindly advise me asap. I am venkat,actually when I intake maida,it leads to itching and swelling.What can be the cause for that? You must be allergic to Gluten. you’re allergic to it, do not consume. Hello mam …It’s priya n I want to know is purpose flour or maida having any side effects during pregnancy….My blood sugar level is high….How to control it during pregnancy? Just check for diabetes. Gestational Diabetes (that is Diabetes during pregnancy) is common. Maida spikes your sugar levels. Hence not a good food option to eat. Try to at Bran or oats to wheat flour as well. Millet chapatis are more healthy to control sugars. We do online diet consultation. You can write mail to us if you are intrested. Do you have android application? Nope.. Planning to launch soon. Is wheat floor cause acidty? And what type or grains should i use? You need a detailed diet plan which you can try to solve your problem.. I experience a lot of pain in my back sometimes and my uncle said that eating maida is the reason for that. Do you have any suggestions to control it. I am 29 and suffering from chronic depression and anxiety. When I eat the food items mentioned above I feel very good but after some time I feel guilty and it makes the depressive symptoms worse. Same case with sugary food and excessive caffeine intake . So I wanted to know if there is any mind and food connection? If yes then what foods need to be avoided for a healthy mind. Your input in this matter is highly appreciated. Thank you. Make sure that you eat small frequent meals. Do not starve for more than 3 hours. Every 3 hours eat something healthy. If your hunger is satisfied you will not crave for unhealthy foods. Also make sure you drink above 3 liters of water. Readymade cakes will be hoe made only.. If you are making at home you can use wheat, oats. My self 27 yrs old and my random blood sugar is 231 recently checked and hba1c is 6.8 and my average blood glucose level is 147….. whether to start antidiabetics drugs or it will reversed by exercise and dietary control and what type of diet have to take….Plz guide madam…. You have to strictly control your diet and start exercising everyday for one hour. YOu can start with drugs as of now. Once sugars are control your physician can consider to stop them. I’m 22 years old, and I’m suffering from hypothyroidism, is this cause any major demerits as health point of view. What should I take proper diet..? Hypothyroid means your thyroid gland is under active. Thyroid is the hormone responsible for the metabolism and many other functions in the body. So you will have to avoid food which interact with the thyroid hormone. Foods which you need to avoid is cabbage, cauliflower, broccoli, bajra, rajmah, soyabean, tofu, alcohol, spinach. you can continue taking rice. Avoid maida and its products. Consider eating more of fresh and cooked food rather than packaged foods. What if i take chapati everyday? My father’s potassium level is high and the Dr. suggested that wheat to be avoided and only white flour to be taken. Kindly let me know what food is good to lower potassium levels. Also send me some receipes. Rice and rice products are low in potassium. SO you can give him rice chapati instead of wheat. Avoid any kind of packaged foods for him. Do not give him melons, roots and tubers to eat. No coconut water. Fruits best option would be apple, pear, guava, pinepaple, papya. I live in saudi arabia and usually have noodles or maida products in breakfast and rice in lunch and dinner and i weigh nearly 110 kgs. Can u suggest me a diet plan and alternatives. In such situation eating rice is better choice. Eat measured amount of rice which you need to reduce slowly. Add more salads and proteins to your diet. Whenever I eat maida content food I suddenly get red bump on my skin. I am eating maida foods from my childhood but I get allergy for just nowadays. Please avoid maida. It is slow poison. I have candida overgrowth in my gut and i ate maida , how can i counter maida effect in my body? Once any food is absorbed you cannot do anything. Next time you eat maida have lots of salads and veggies along with it. And also drink lots of water. i am vijay wanted to know that if one has to eat only wheat flour roti? what will be the side effects?then what is healthy way of eating roti? 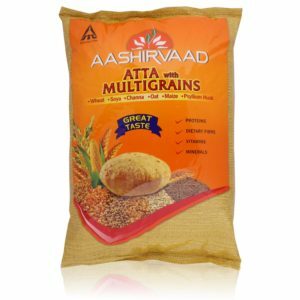 It is advisable to use all the grains on rotational basis. This will include wheat, jowar, bajra, rice, ragi etc. Other grains have more fiber content as compared to wheat and rice. So even if u can manage to have chapati/ roti/ bhakri of other grains 3-4 times a week will be beneficial. i want to decrease Belly fat.iam eating veggies with 10~11 maida roti’s a day or rice with veggies. i want to built body too.i go gym for 30 to 45 mintues after work in the evening . please tell me eating before excercise is good or bad? Mam…Since I started living in hostel my belly fat is increasing for no reason..Coz I work out and eat the same amt as before..I eat junk food very rarely…But still m building up belly fat..Jst I think the chappties made in my meds are made of maida..So is this the reason I m gaining belly fat..Plz tell me what I could do to prevent it.. Yes surely , maida chapatis are the reason and also may be low protein diet.